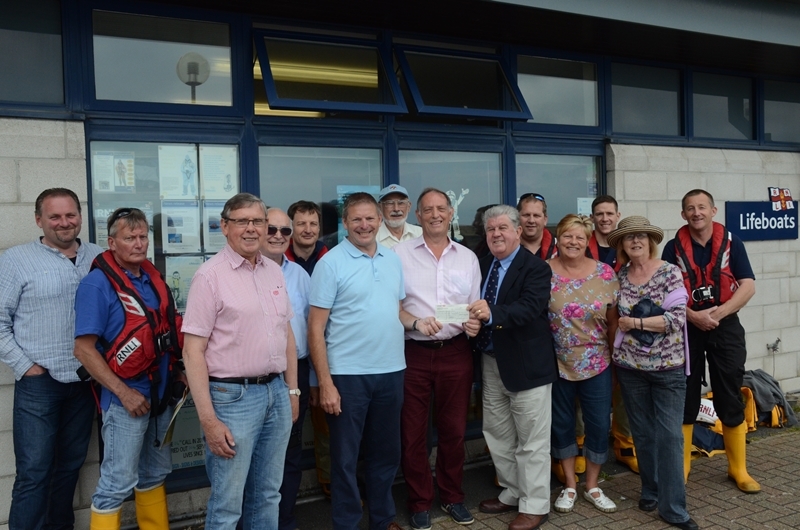 Members of the Eastbourne Model Power Boat Club attended Eastbourne lifeboat station recently to donate £130 which they had raised from collections amongst club members. The club was formed in 1951 and meets regularly at Princes Park Eastbourne and the common pond in Hailsham where they sail a variety of radio controlled boats built by members. Club Chairman David Hedges said “We are always on the lookout for new members and the public are welcome to come along to any of our events”. Receiving the cheque on behalf of Eastbourne lifeboats, Operations Manager Paul Metcalfe said the donation would go towards station running costs.